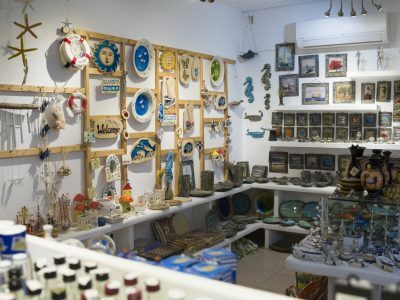 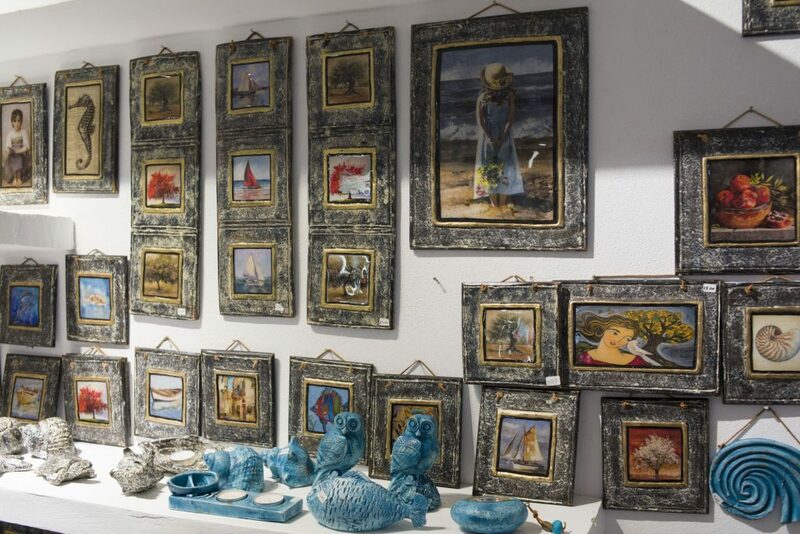 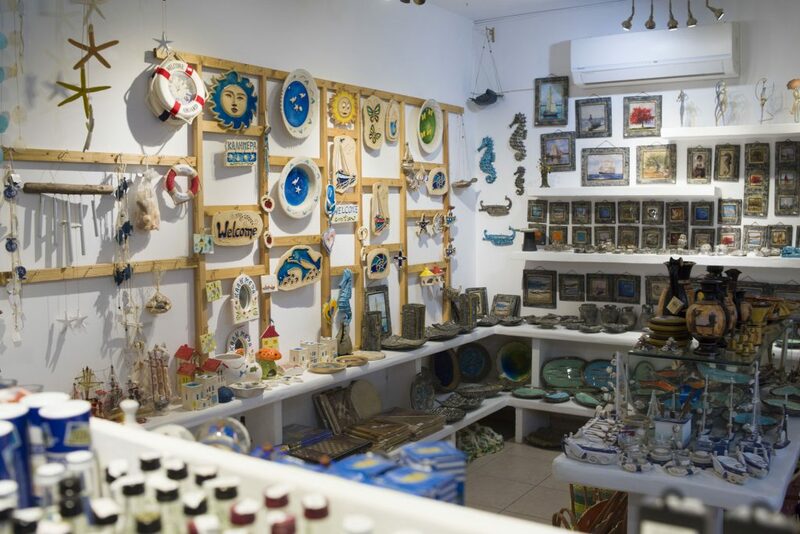 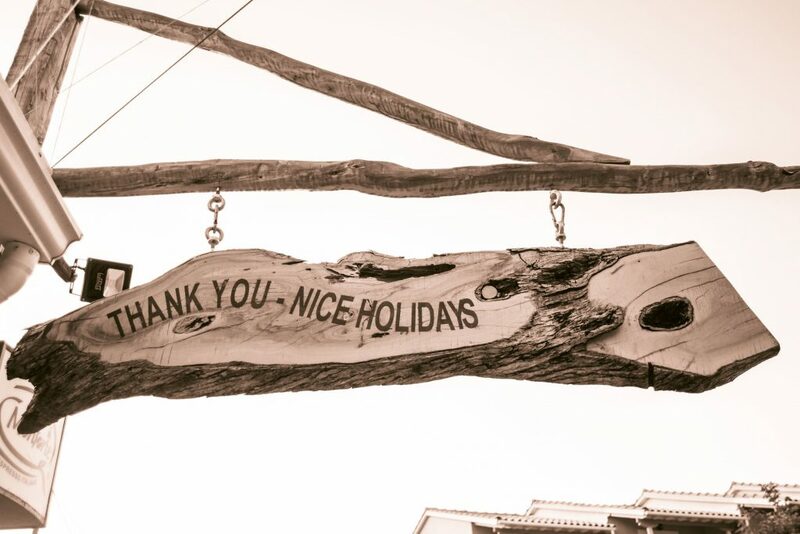 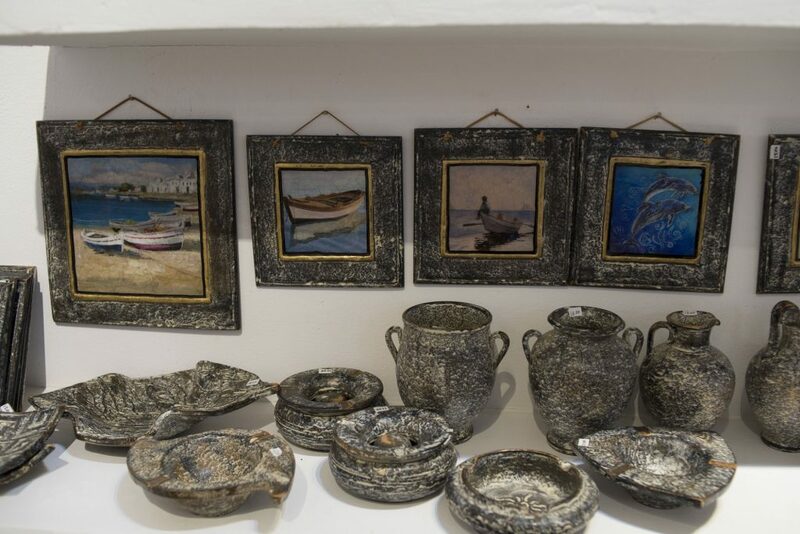 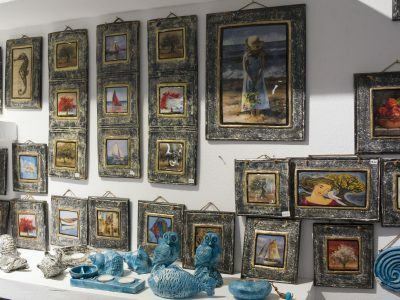 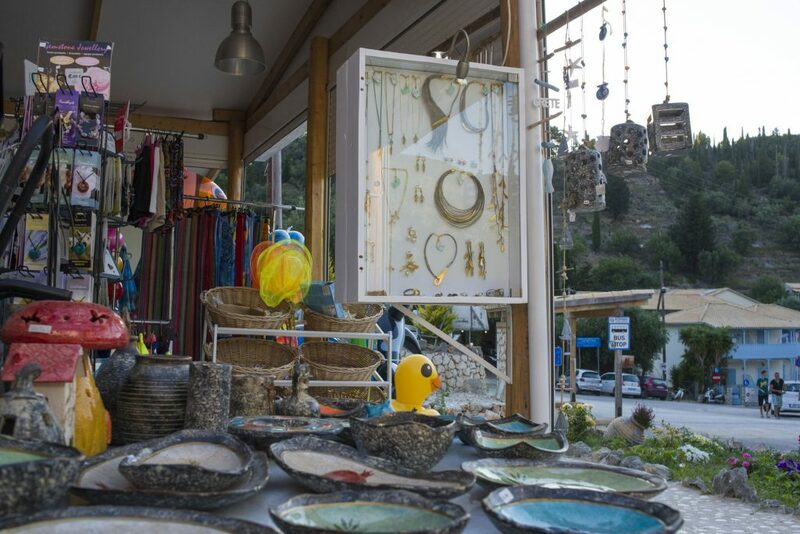 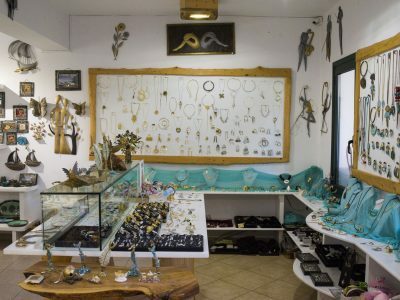 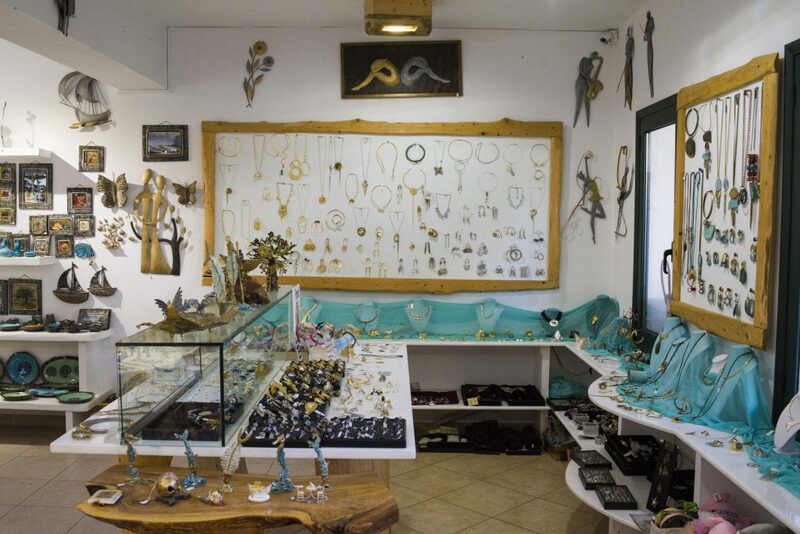 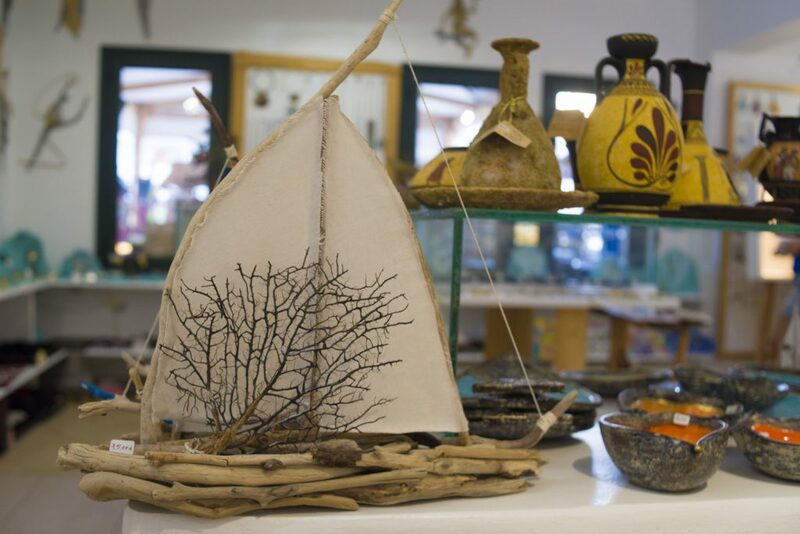 Our store is located just after the entrance to Agios Nikitas. 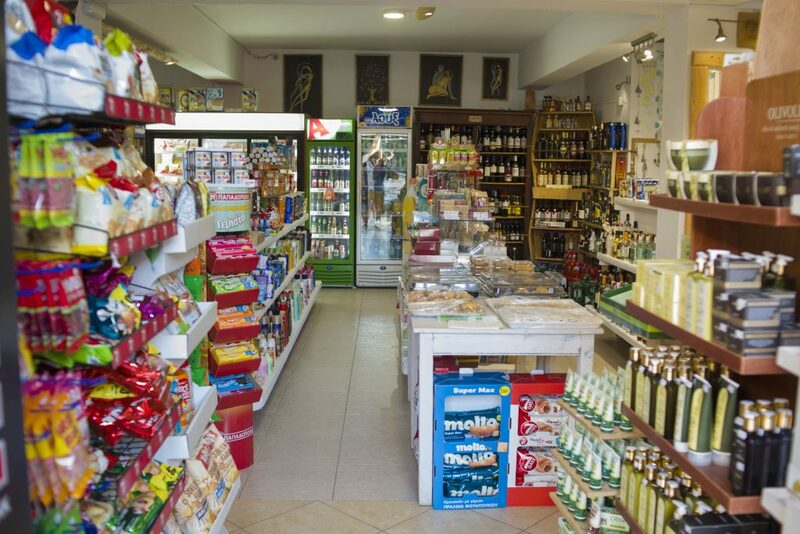 It is a large store made to satisfy as many of your needs as possible. 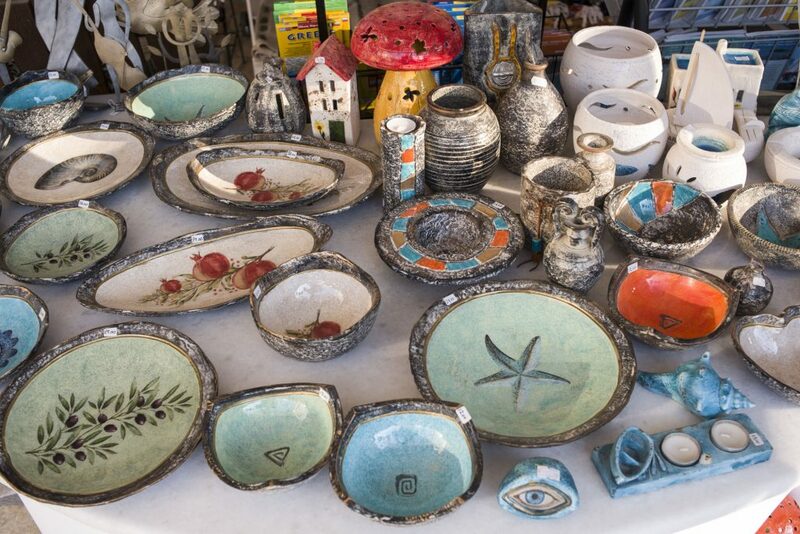 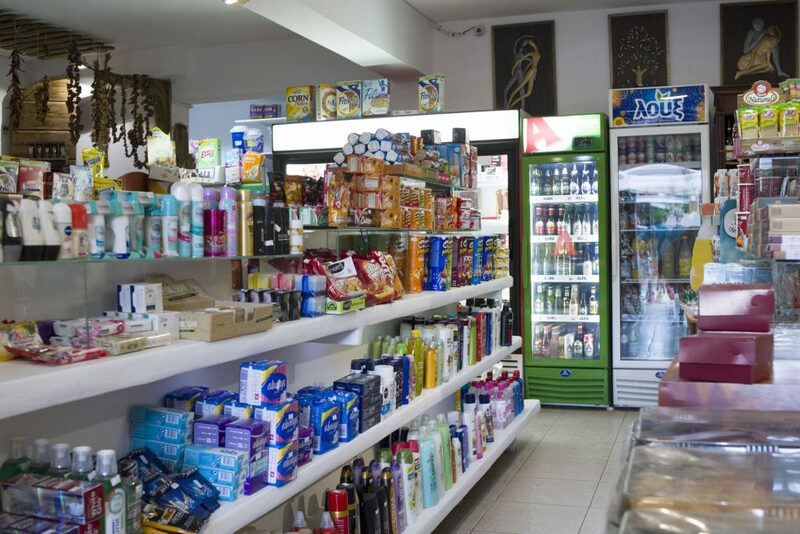 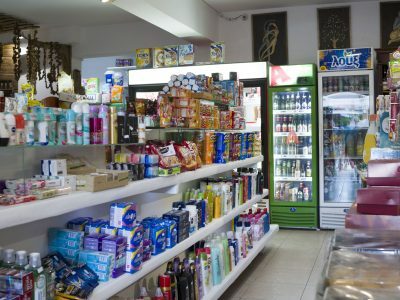 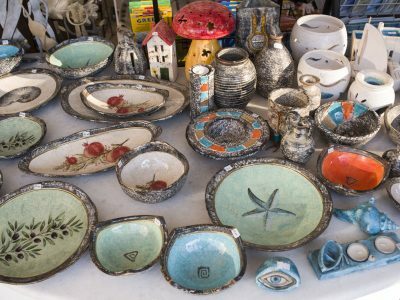 In it you will find a mini market, which sells all things necessary to cover your everyday needs. 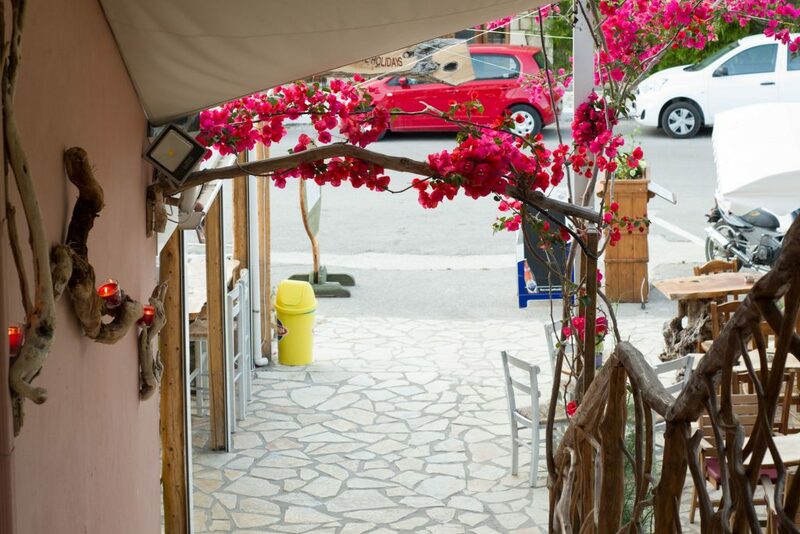 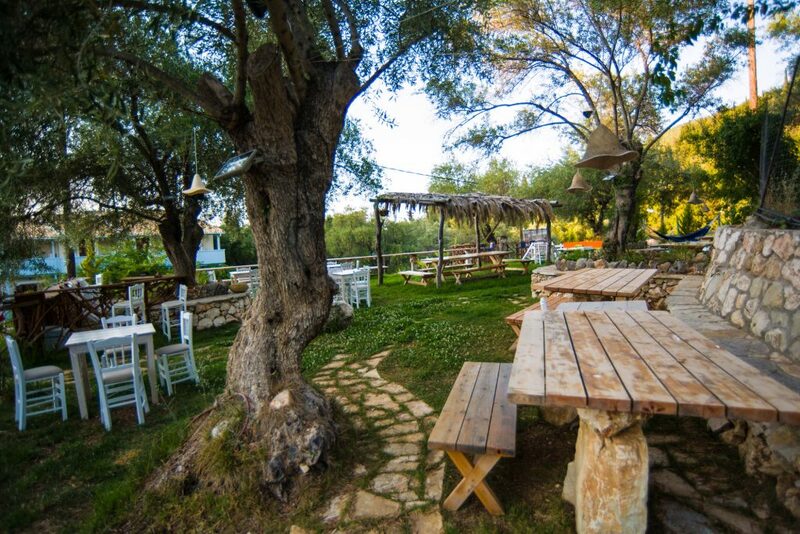 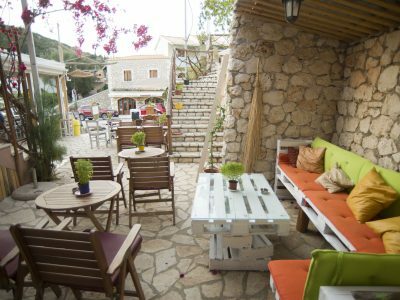 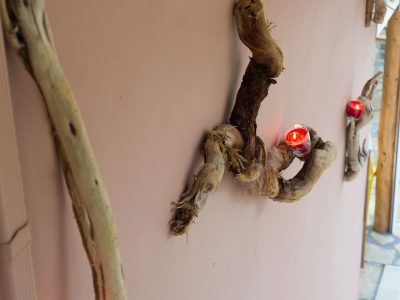 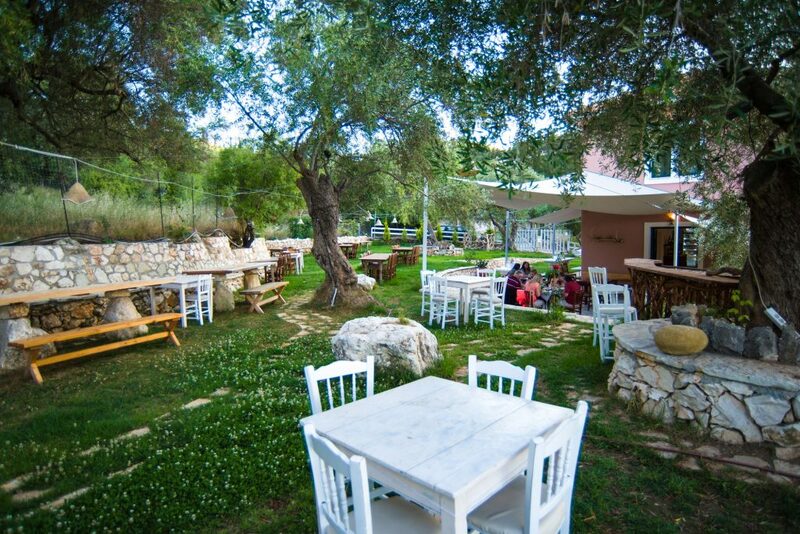 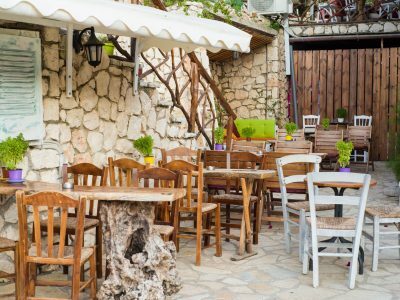 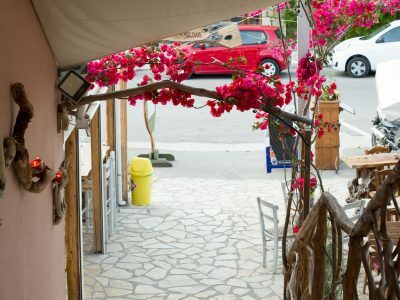 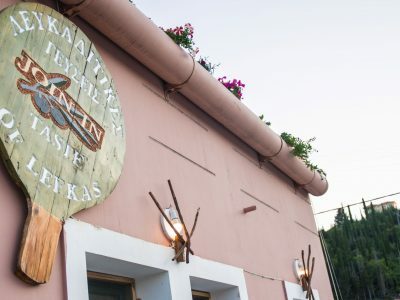 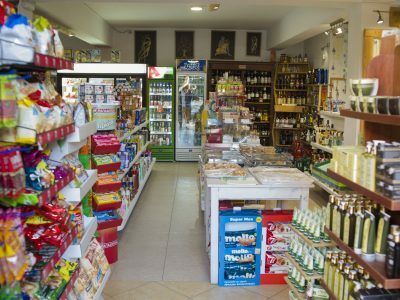 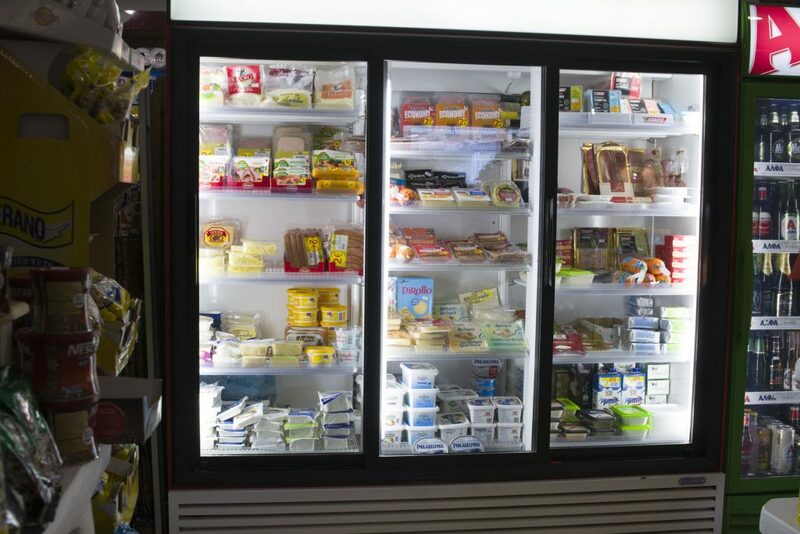 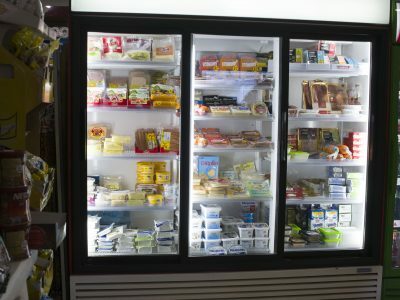 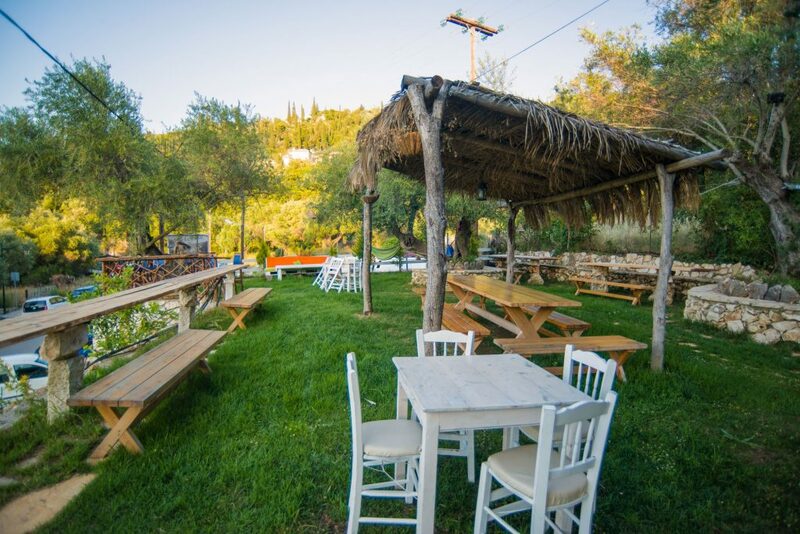 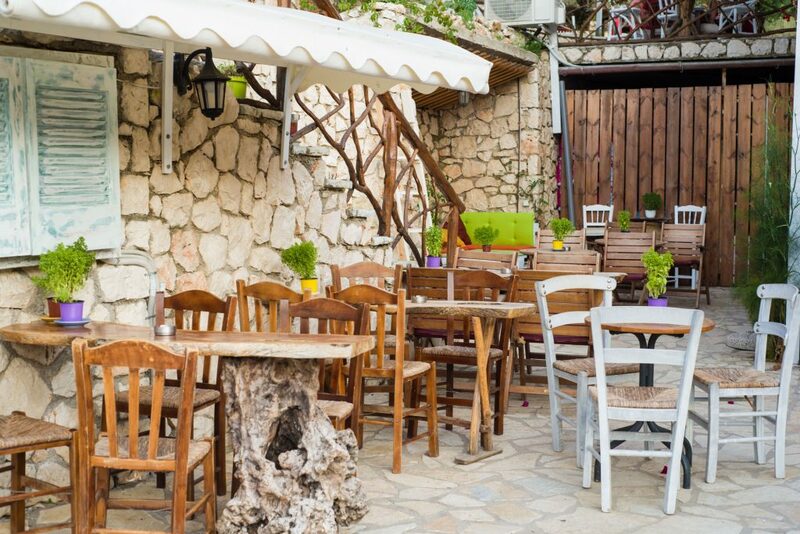 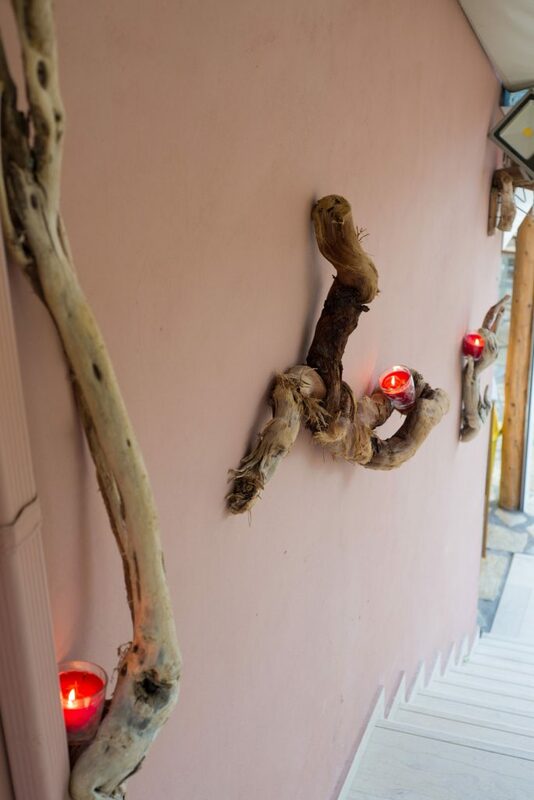 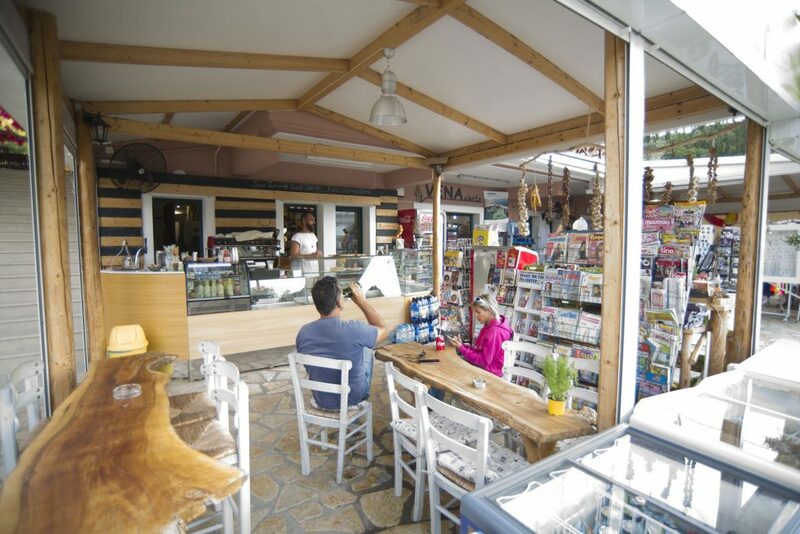 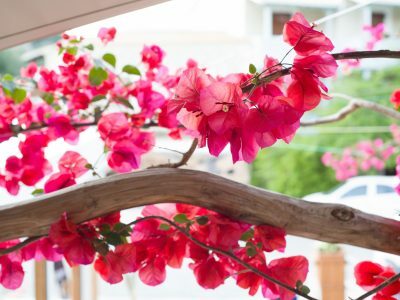 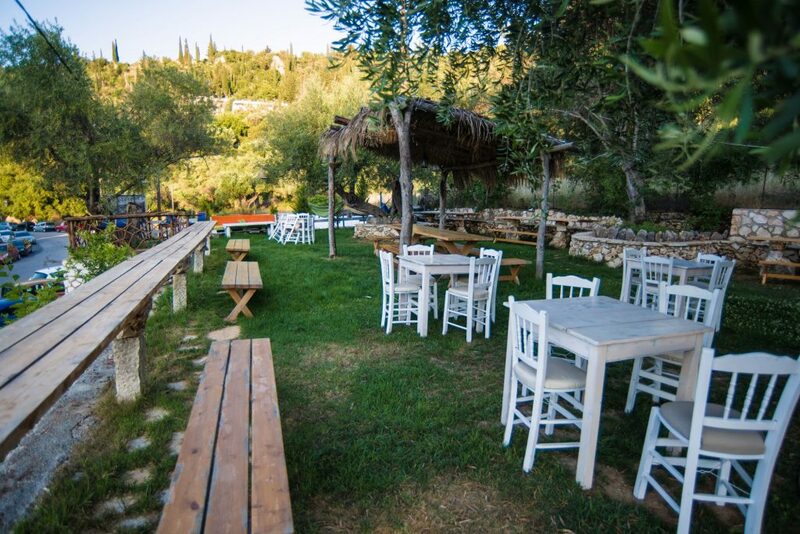 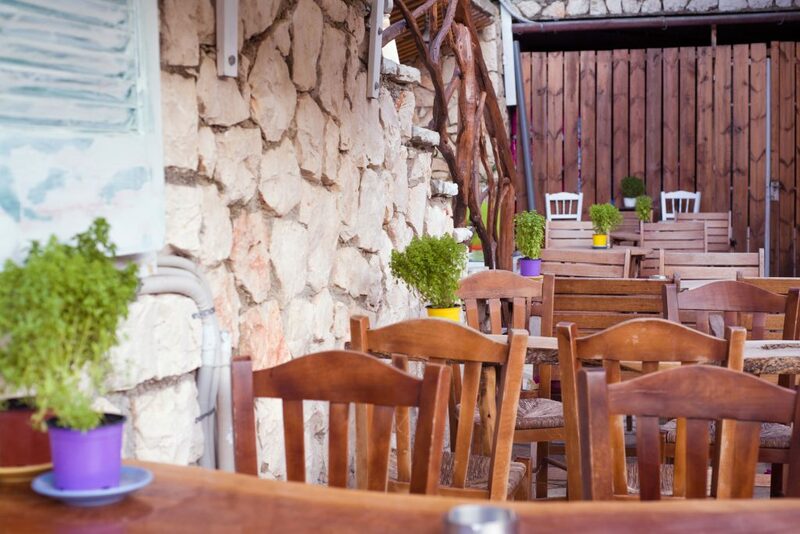 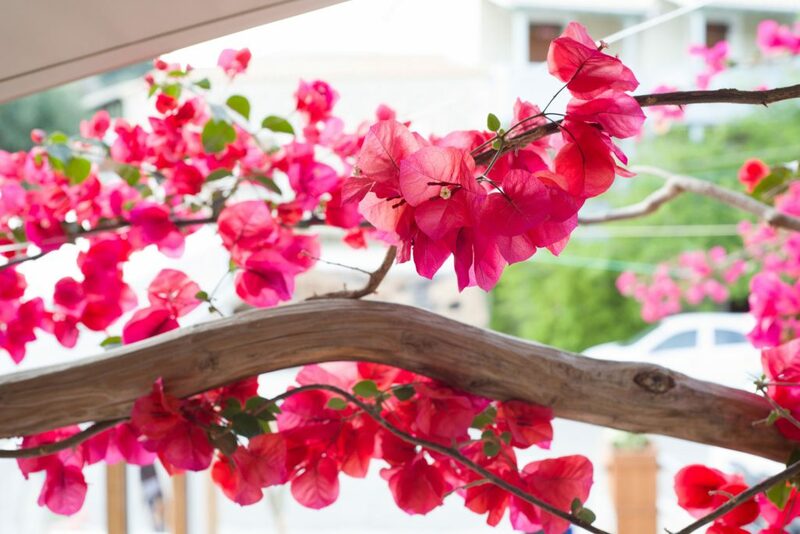 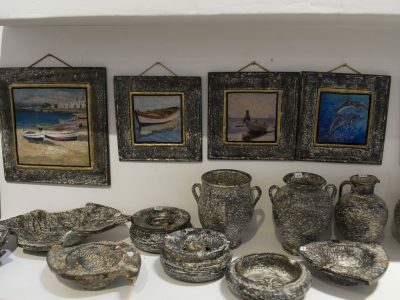 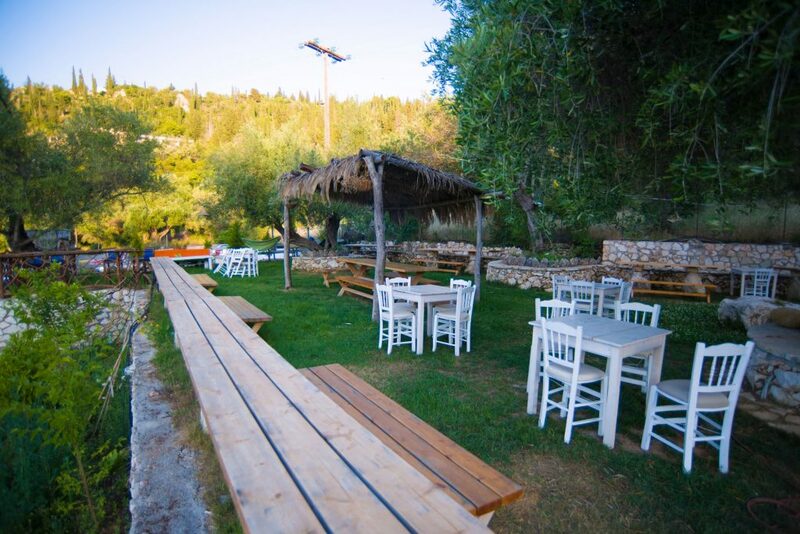 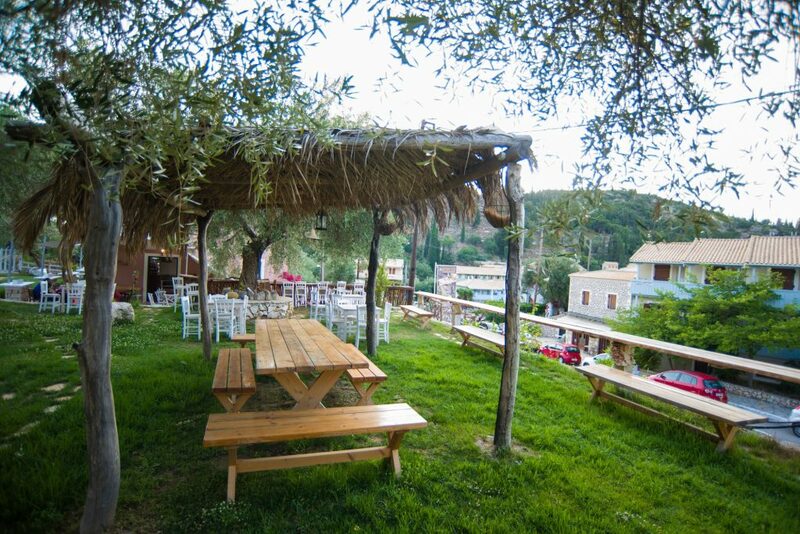 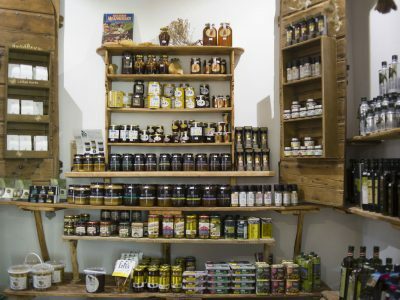 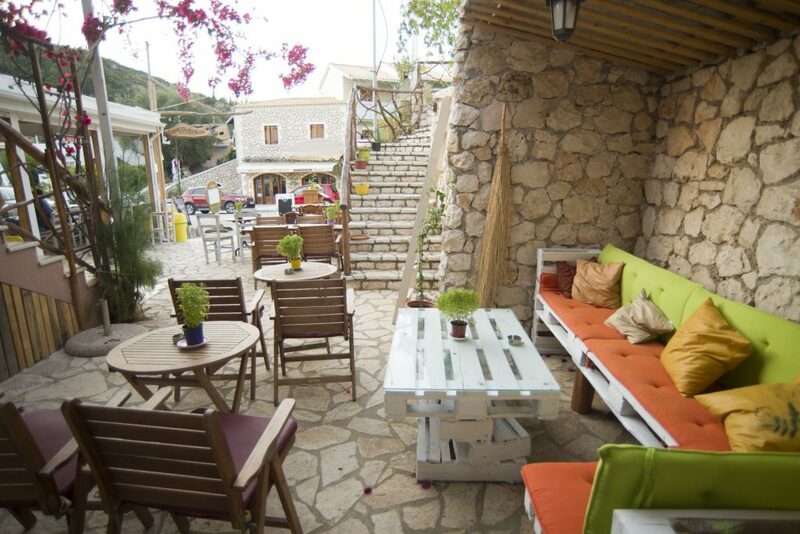 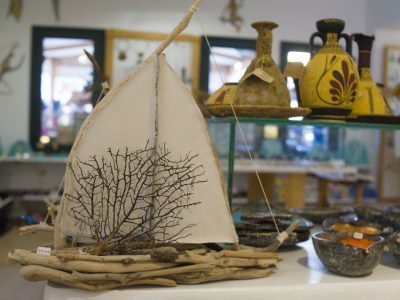 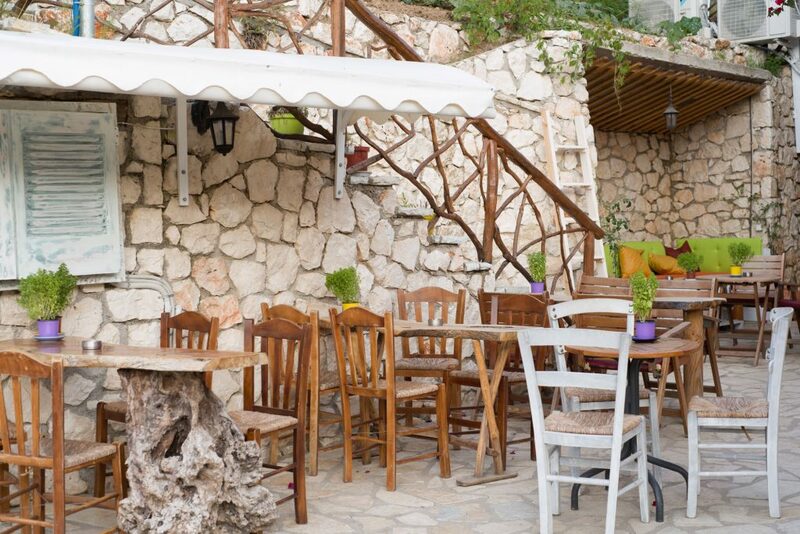 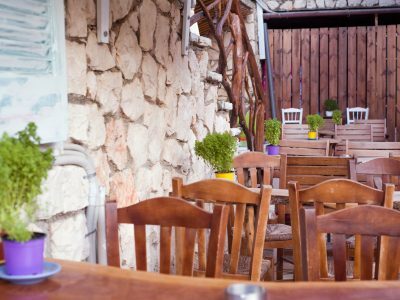 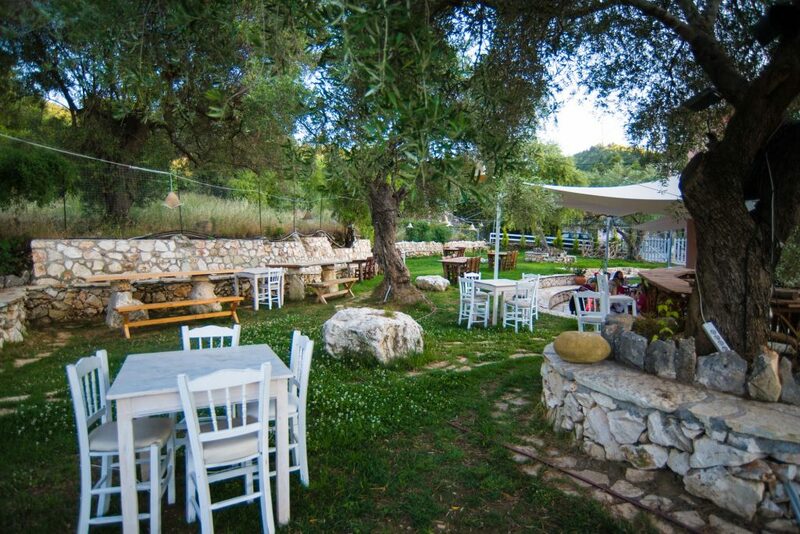 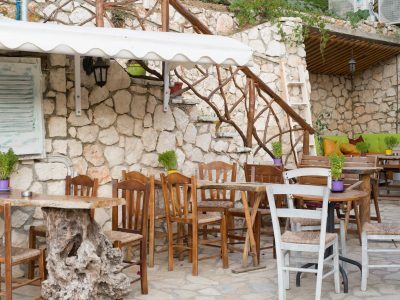 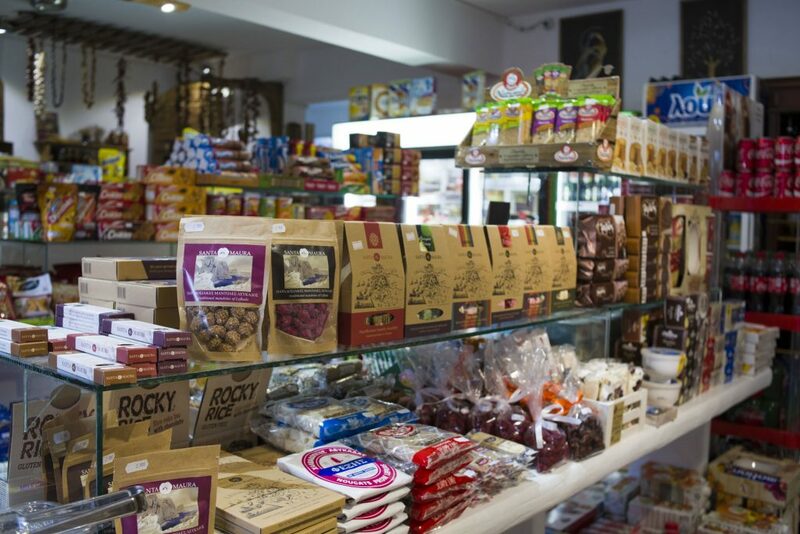 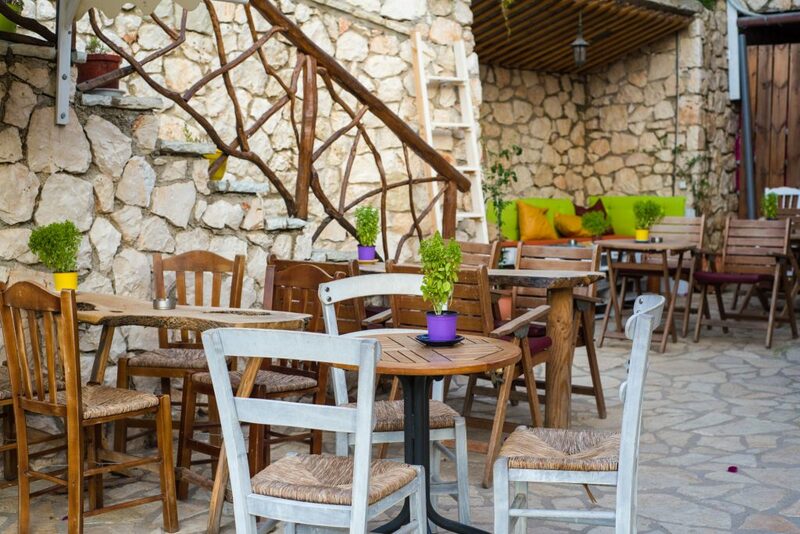 You can also try the delicatessen, where you will find traditional products from Lefkada and the surrounding regions. 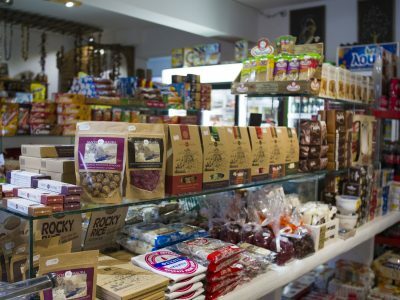 These products include lentils, salami, herbs and wine, all of which are made with the love and dedication of local producers and craft industries. 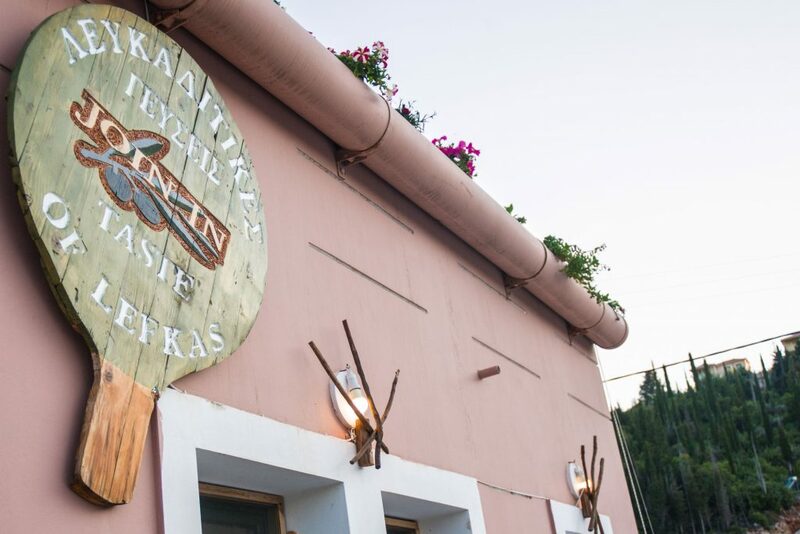 Also, you must definitely try our traditional bread and sesame bagels, which arrive every day fresh from the oven of our bakery in Nydri and Exantheia. 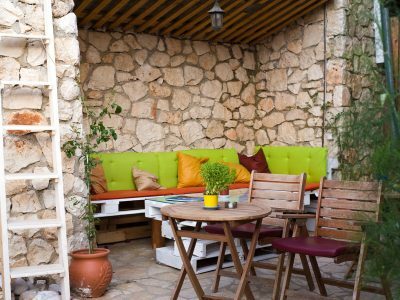 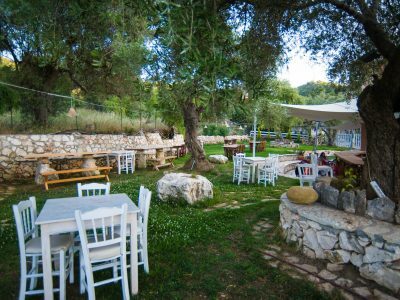 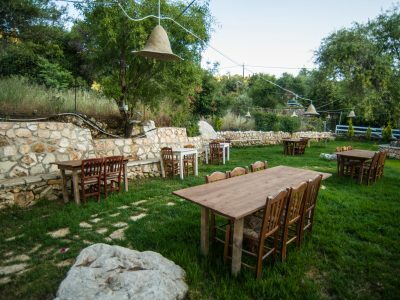 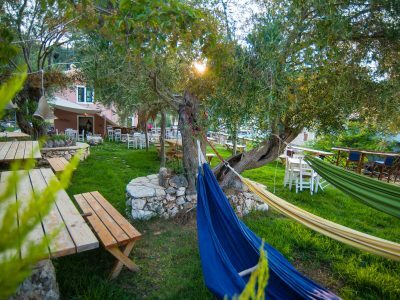 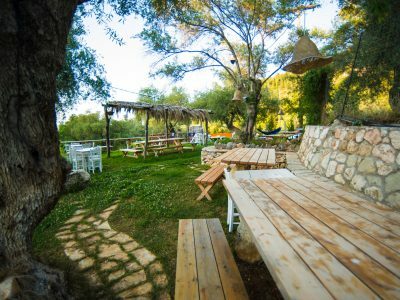 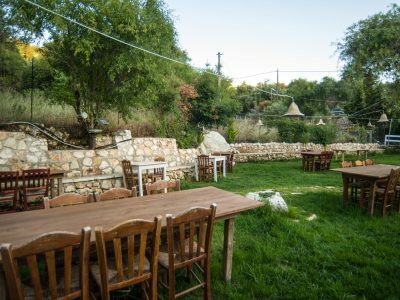 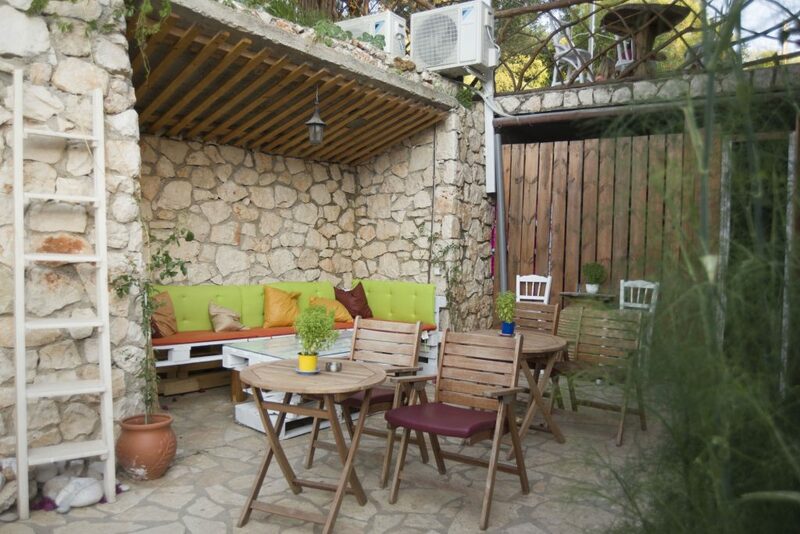 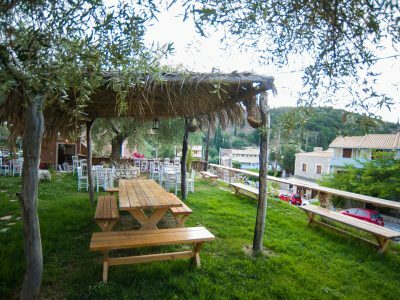 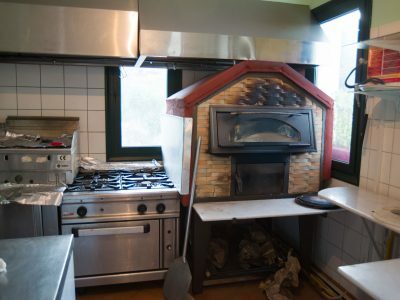 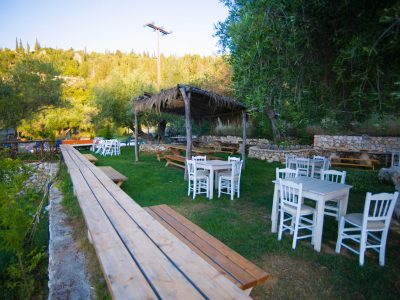 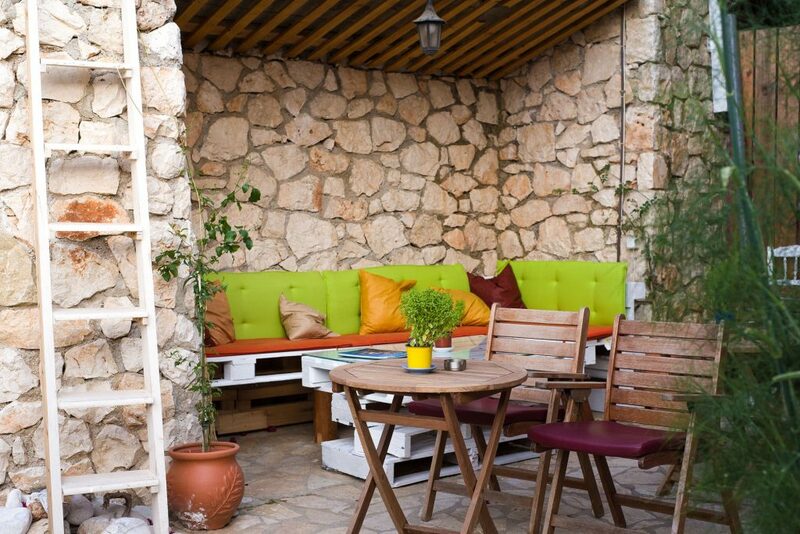 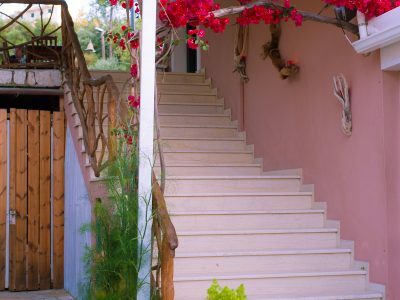 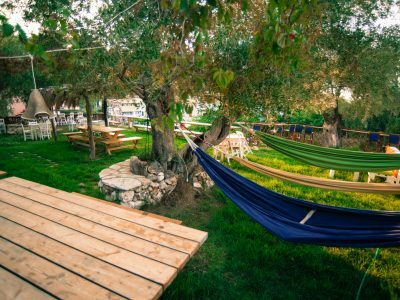 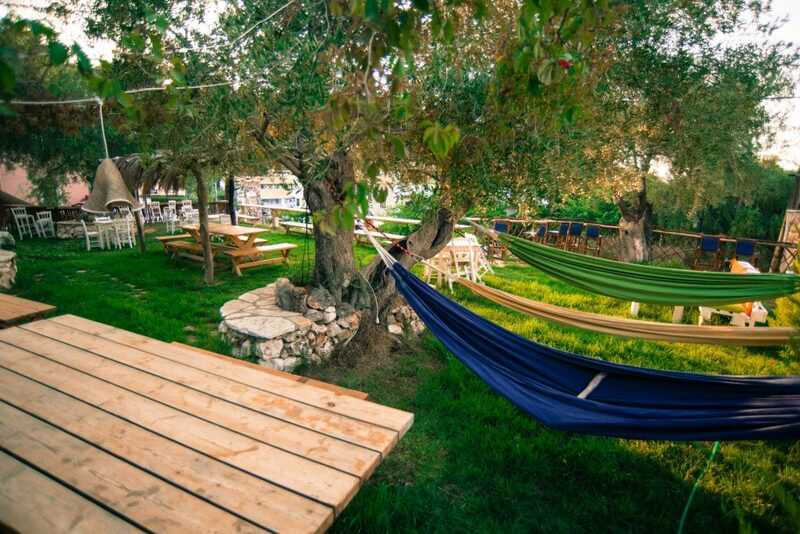 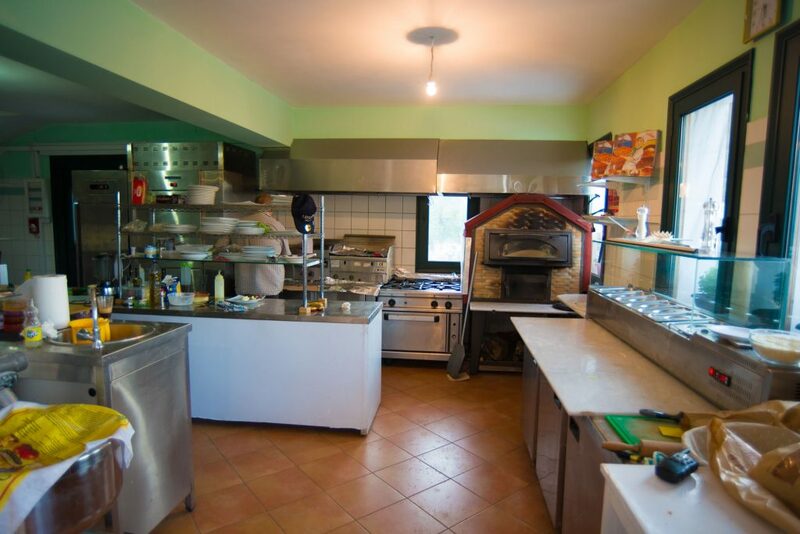 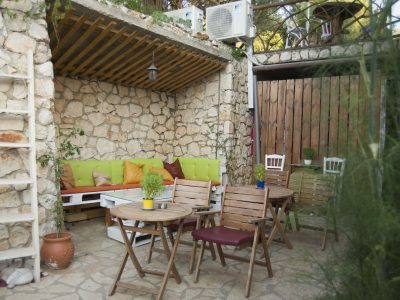 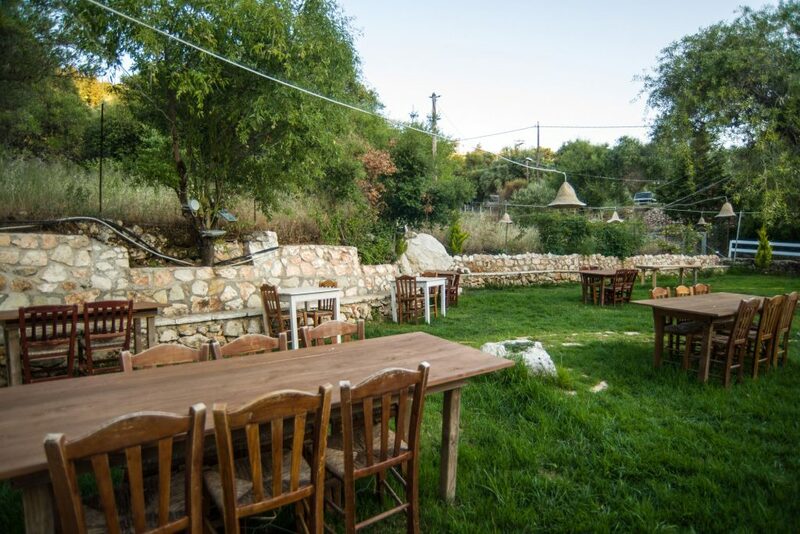 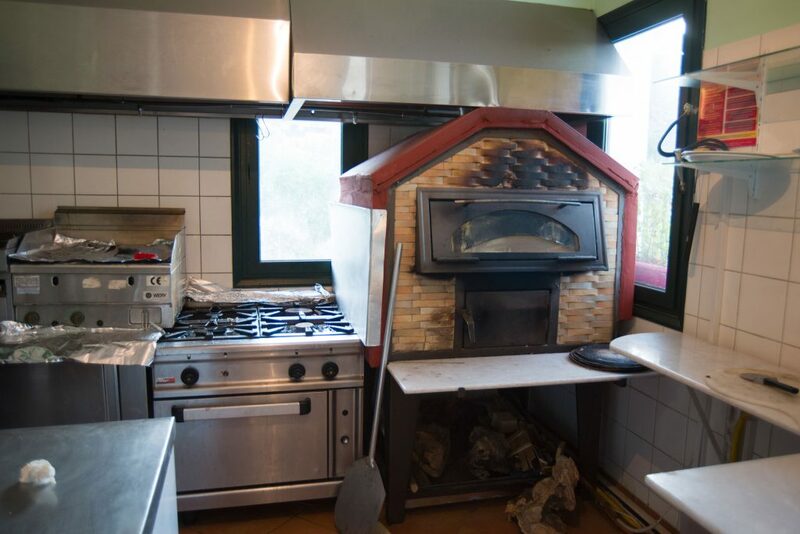 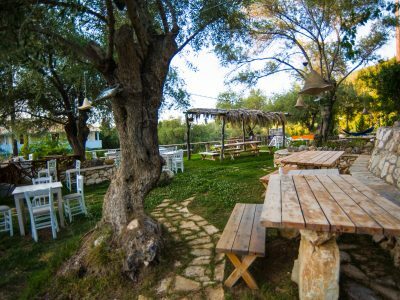 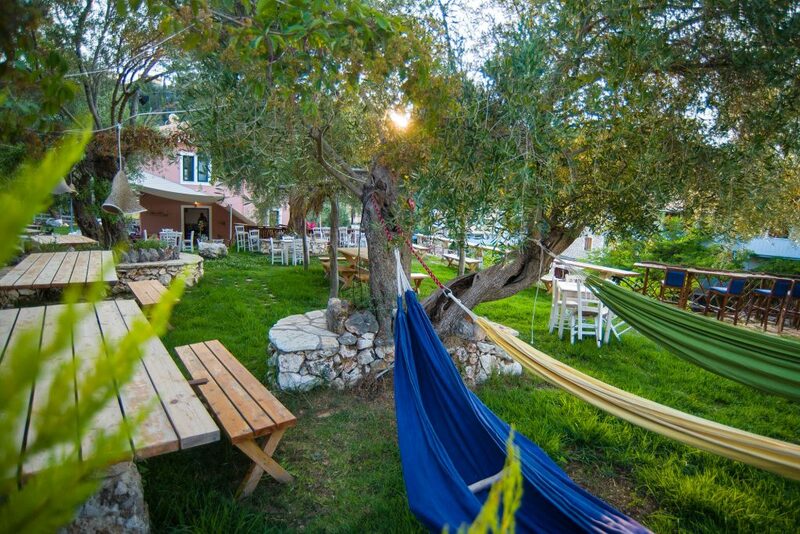 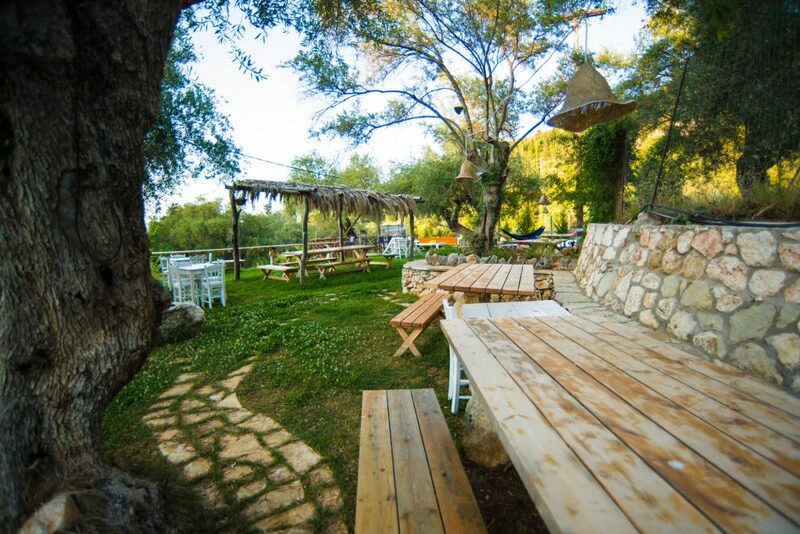 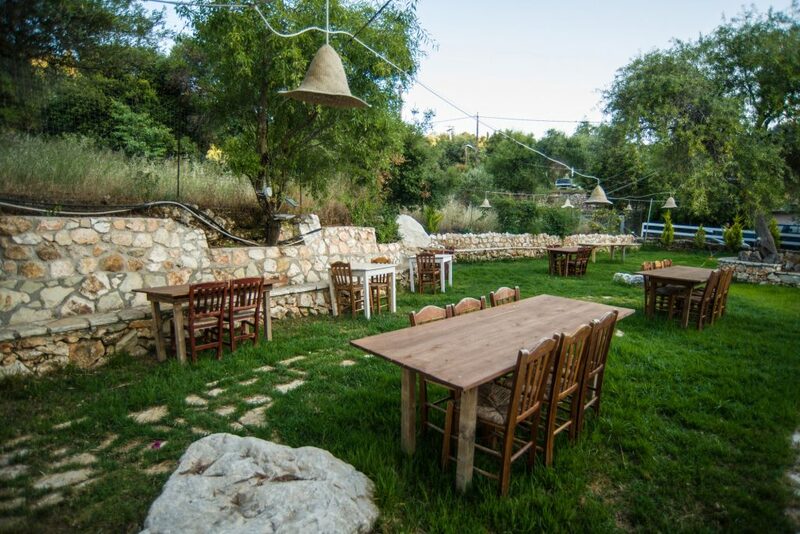 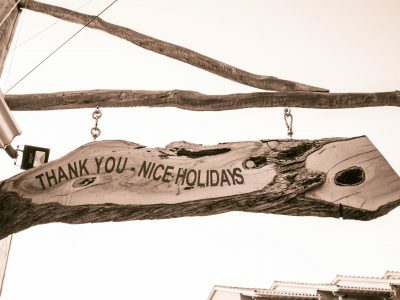 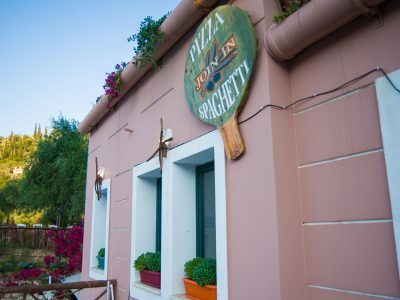 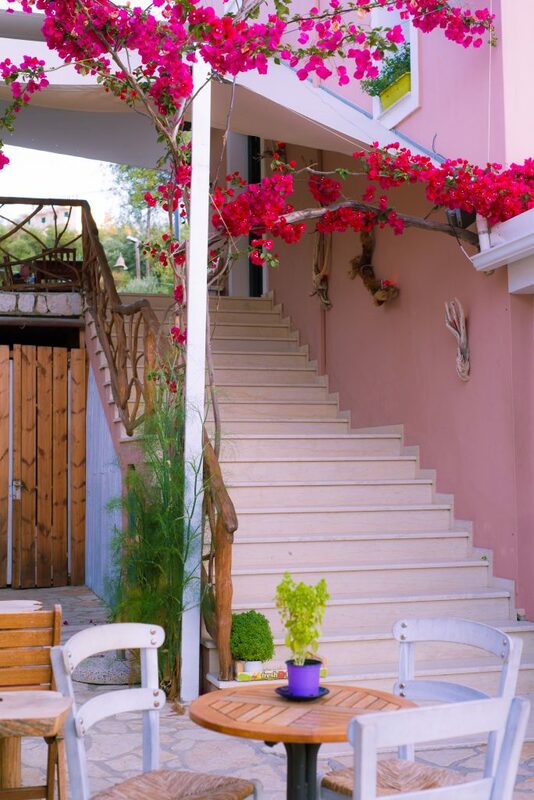 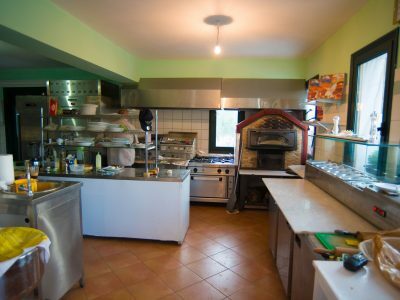 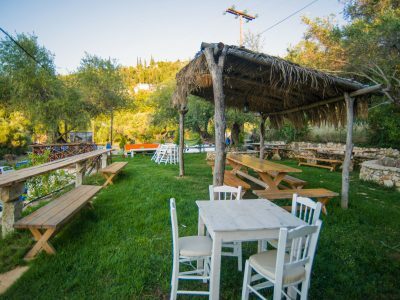 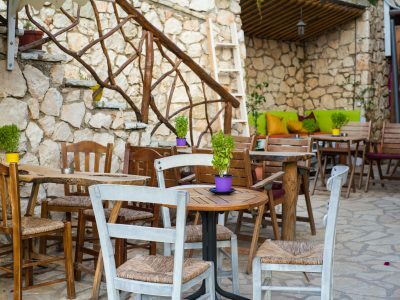 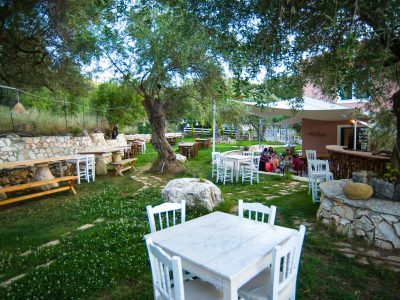 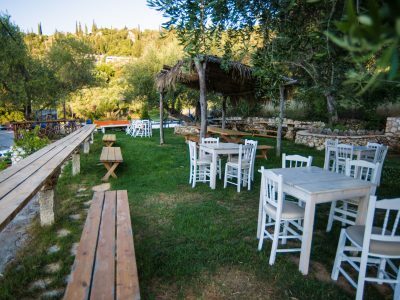 There you will also find focaccia, Arabic bread, fresh croissants, handmade traditional Greek desserts and cookies that you can enjoy with authentic Italian coffee, cold drinks, juices and lots more in the beautiful garden or veranda built only with local materials such as stone and wood, and surrounded by olive trees. 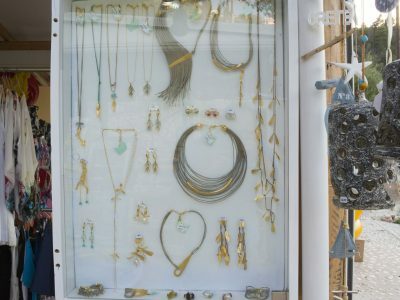 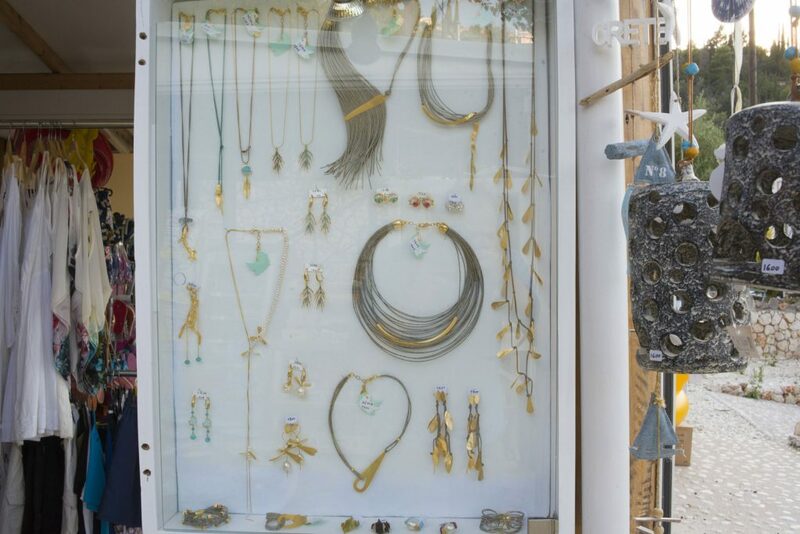 You can also see some Greek jewellery creations by vena d’ arte, our stores at 95 Adrianou Street in Plaka (Athens) and in Vasiliki (Lefkada). 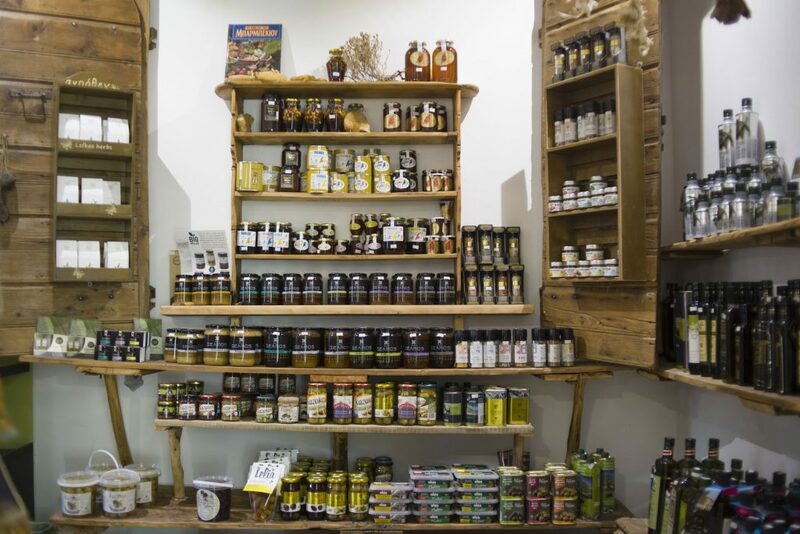 There is also a wide range of face and body products based on olive oil. 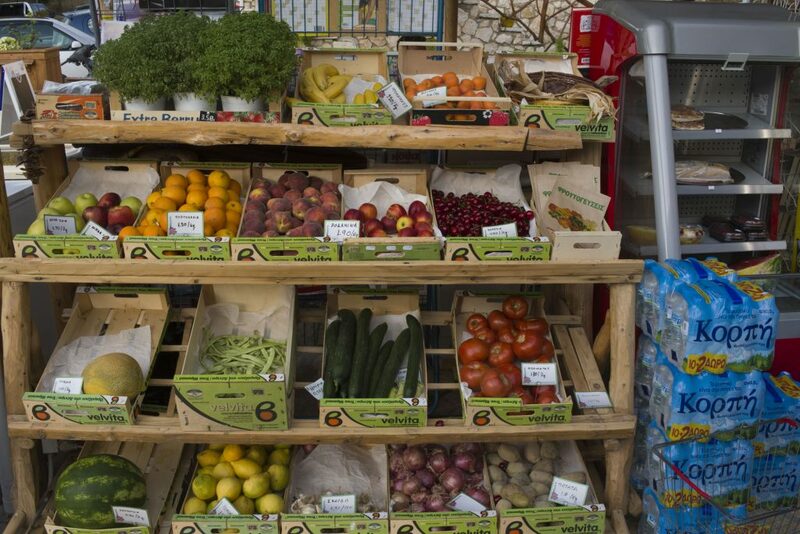 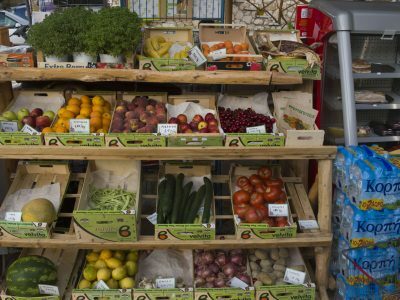 If you browse further on, you will find seasonal fruit, fresh eggs and traditional legumes in our greengrocer section. 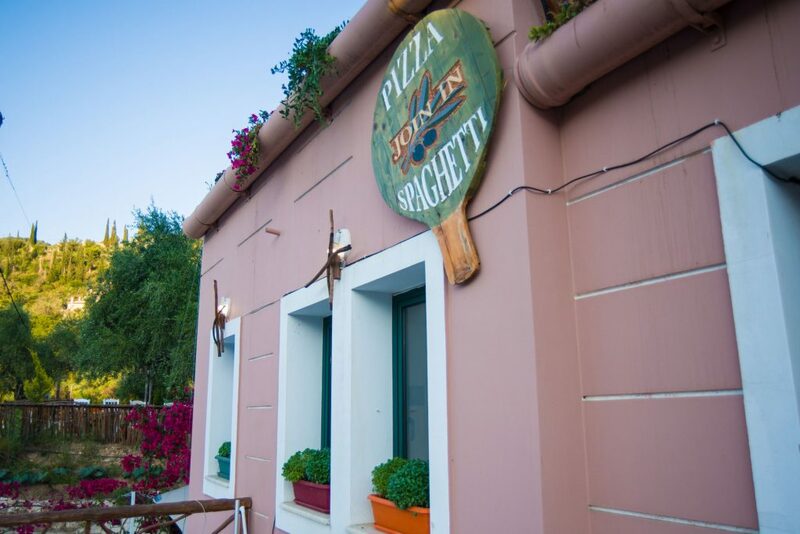 The first floor of our store houses our restaurant, where lovers of Italian cuisine can enjoy amazing pizzas and pasta dishes, while those who enjoy more traditional flavours can try our meats, salads, appetizers and even souvlaki. 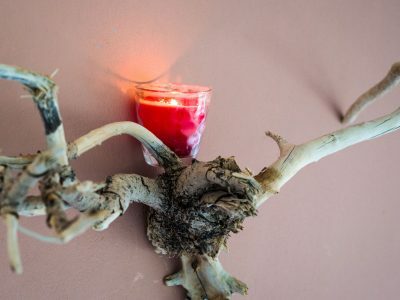 Of course, we never forget our young friends. 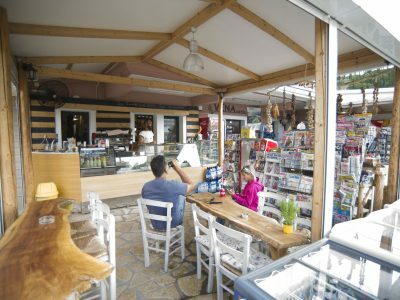 Our store has a playground, a hammock, a fountain that adds to the beauty of the space and a table with traditional board games for the fun and entertainment of your children. 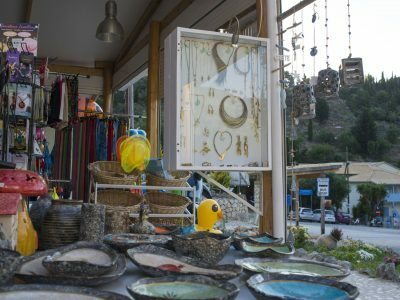 Last but not least, being on an island with magnificent turquoise beaches, it would be a great omission if we did not sell beach gear for your carefree holidays.